You'll be £19.99 closer to your next £10.00 credit when you purchase The Black Bull. What's this? The 11th Armoured Division, famous for its Black Bull insignia, was widely recognized as being among the best armoured divisions in north-west Europe during the Second World War. This book tells the story of the Division in the words of the soldiers who fought with it: of its part in the three ferocious battles in Normandy – Operations EPSOM, GOODWOOD and BLUECOAT, the great 'Swan' to Amiens, the taking of Antwerp; right flanking for MARKET GARDEN, back-up in the Ardennes and the final slog into Germany across well-defended river barriers, to the liberation of Belsen, Lübeck and the Danish frontier. The Division suffered 10,000 casualties, with almost 2,000 lost in action, and so this is also a story of courage and the hardships of a winter campaign, of being wounded, comradeship and fighting fear. Contributions are included from twelve of the regiments who proudly wore the sign of the Black Bull. Memories from troop commanders and riflemen, bombardiers and signalmen, tank crews, troop leaders and from the dashing GOC are brought together to reveal what life was like at the sharp end. The Black Bull is liberally illustrated with contemporary photographs showing the Division in action. It will appeal not only to those who still have memories of the battles and to those who fought in the Second World War, but also to readers interested in the day-to-day actions and thoughts of soldiers in the front line for almost a year. Following the break-out battle encounters of General 'Pip' Roberts, whose Armoured Division took part in Operations EPSOM, GOODWOOD and BLUECOAT, this is the story of the those men who were thrown into the thick of the action during the final crusade into Germany with the overhanging loss of thousands of lives and tens of thousands of casualties. 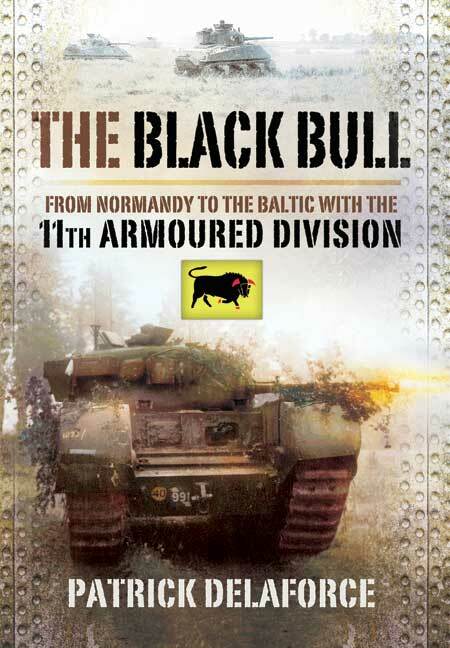 Noted for their symbol of the Black Bull, their engagements are aptly described and recounted from the first hand accounts of troop commanders, riflemen, tank crews and the like, and are compiled in this story of courage and determination by an esteemed historian who himself fought in the division from June 1944 to VE Day. Horrors, fear, apprehension, and hardship are all apparent in this story - an inspiring and captivating read for all those who take an interest in history and military action. The 11th Armoured Division is famous for its operations in Northern Europe between June 1944 and Victory in Europe (VE) Day in May 1945. Its insignia of a black bull inspired fear in its adversaries as the 11th Armoured were known as splendid fighters. The 11th Armoured were in the thick of the action from their landing in Normandy to the close of hostilities in Europe. Often divisional histories are factual affairs and lack the personal touch of the men who served with the formation. Others are biographies of the war time experiences of the men who served with a particular unit. However this book combines the two. The factual data on the Division is presented but it is interspersed with personal anecdotes from the letters and diaries of the brave men of the 11th Armoured. There are first hand descriptions of the life at the front line from various men and these comments cover the range of the division's constituent regiments. The author uses the recollections and personal papers of the men of the Division to great effect. These anecdotes bring life to the division's history and present the raw emotions of combat. He does not concentrate on his own personal exploits as some biographies do but rather on the story of the division with some personal notes. He presents a few pictures of himself and limited notes from his own diaries. There are plenty of recollections from other members of the division. This book is a splendid read and very engrossing. If you are interested in the Northern European campaign of 1944/45 then this book deserves serious space on your bookshelf. 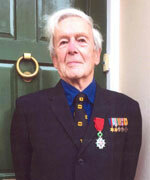 Patrick Delaforce served with 11th Armoured Division during the advance through NW Europe. After a career in the wine trade he became a professional writer. Among his books in print with Pen and Sword are Churchill’s Desert Rats in North Africa, Burma, Sicily and Italy, Wellington Le Beau and Monty’s Marauders. In 2015 he was appointed to the rank of Chavalier in the Ordre National de la Legion d’honneur (Knight of the Legion of Honour). This is in recognition of his ‘acknowledged military engagement and steadfast involvement in the Liberation of France during the Second World War’.